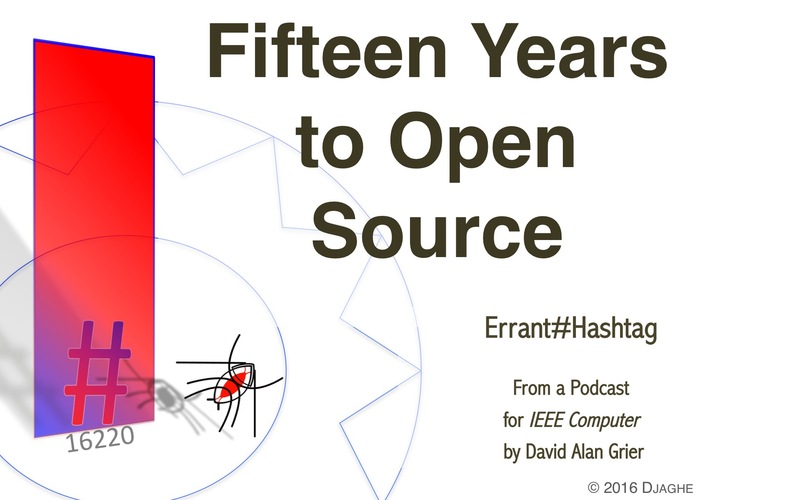 16220: Fifteen years to Open Source? You can’t change something until you have a way to change it. For that simple reason, a fundamental principle of change management, it took fifteen years for the U. S. Government to embrace Open Source. How and why you get from nothing to something is the theme of this episode of Errant Hashtag. Posted in 2016, podcast. Tagged CIO, CIO Council, federal policy, open source, procurement, software policy, US Code, US Congress, us government.